This statistic shows the reported impact that offering digital locker services would have on consumer video purchasing and renting. According to the statistic, 23 percent of respondents reported they would buy "somewhat more" video if they had a digital locker, and four percent reported they would buy video significantly more. 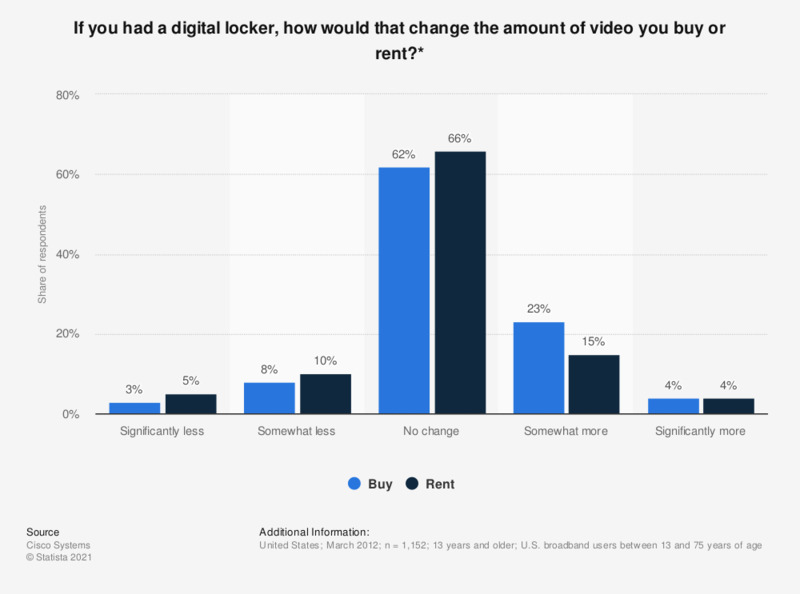 * During the survey, this question was posed as follows: "If you had a digital locker with all of the features you have just evaluated, how would that change the amount of video you buy or rent?" The source did not specify the exact features of the digital locker. For more information, see source, page 8.